One of the best additions to your store’s security are store security cameras. Not only due security cameras bring with them an inherent deterrent to theft and vandalism, but they are also able to document any crime in progress. In addition, store security cameras can often see areas where theft could occur that a clerk or cashier couldn’t. As any corporation or small business owner will tell you, having the proper security will pay for itself. Store security cameras provide the type of security that can keep a store’s profit margin from shrinking. Imagine the difficulty in prosecuting a shoplifter or employee without video evidence. Not to mention the deterrent factor because, cameras prevent many crimes from ever happening. Designing a store’s security system is not a haphazard affair. There is a science to the design and implementation of a security system. Cameras for the most part, do all the heavy lifting. The camera lens does not become sleepy, its eyes do not wander and it can follow the most precise directions without fail. However, human interaction is needed to analyze the collected data and provide direction to the system. Essentially, security cameras are there to protect your assets. The assets are inventory and customer relationships for the most part. Video recordings are also a tool that can be used to repudiate claims from employees and customers in a liability lawsuit. Customers and employees alike steal from the company, it happens in every store. Practically speaking the percentage of thefts is reduced simply because of cameras. Some people tend to act more civilized when they know they are being recorded. Cameras can also be used to analyze customer and employee relationships. The complex security profile of most stores requires a variety of cameras and options. Stores must have cameras outside their stores, as well. Parking lots pose a hazard to shoppers late at night and in some cases, in the middle of the day. High quality cameras can be programmed to pan and tilt through a designated coverage area. Ideally, others cameras would also be programmed to ensure there are not any dead spots. In most cases, the cameras would not be monitored 24 hours a day by security personnel. Once an incident has occurred store security or law enforcement will have access to the recordings. The outdoor security cameras are not likely to be infrared but should have the ability to record viewable images in low light. Store security cameras should have a backup power source in the event of a power outage. This is another reason the cameras must have night vision capabilities. The parking lot will be considerably darker when the power goes out. Most businesses have insurance against theft. However, the majority of insurance policies require adequate security measures. In other words, the store must have done everything possible to prevent the theft. Prevention includes store security cameras. Nevertheless, thefts do occur regardless of the preventive measures. Therefore, another stipulation is video evidence that can be used to prosecute those responsible. Cameras must be located to keep an eye on the money. Security cameras should monitor all cash register activities. This includes the change out of cash drawers, countdowns and all customer transactions. Certain cameras should have a tracking feature so the manager that counts down the drawer can be tracked to the cash room or store safe. Very few people have access to the video monitoring room. The integrity of the data must be preserved. The collected data must be archived in such a manner that tampering is not an issue. Video evidence from store security cameras will be closely scrutinized by law enforcement and attorneys in the event the evidence is presented to the courts. 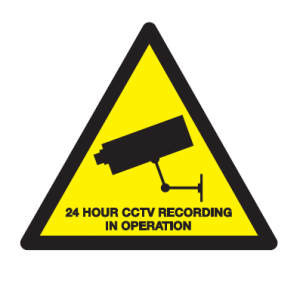 Security personnel should give the impression that video feeds are being monitored 24 hours a day. If people were led to believe no one is watching them, they may also believe that by disguising themselves they can shoplift and get away with it. If no one is watching the cameras, no one is aware of a theft, is the belief of some people. For the most part, cameras would not need two-way audio unless the store also has a fuel station. A camera at the pumps with audio allows operators to give directions to patrons without leaving their station. However, customer service counters may benefit from cameras with two-way audio to analyze employee and customer relationships. All in store cameras should record in color. Identifying someone by the color of their clothing may be important for investigative purposes. Internet protocol or IP cameras are becoming more popular as technology advances and cost become more economical. When security experts analyze a stores security profile, they typically recommend off site monitoring. Off site, monitoring provides greater data security. Each camera will have an IP address that automatically streams all live feeds to the Internet. Normally there is a dedicated server where multiple individuals have access and the collected data is stored using a network video recorder. On site, personnel can view all images in real time. At anytime the system can be decentralized allowing each store to collect and archive data. For enhanced security, in store security cameras should be infrared or IR cameras. Cameras that record in low light cannot record images in complete darkness. The typical night vision camera will require light from the moon, stars, streetlamps or emergency lighting systems. Most businesses will have emergency lights that provide minimal illumination in the event of a power outage. This light would be enough for the typical night vision capable camera. However, the generator system can fail during a blackout. The store would be in total darkness at this point. IR cameras can record thermal images by using energy or thermal radiation given off by all objects. Video recordings will protect the store against injury claims, and any number of lawsuits that may arise from the incident. There will be thefts by employees and customers during the blackout, as well. Stores must focus on and be prepared to protect their assets regardless of the situation. The sales floor is not the only place for cameras. While shoplifting by customers can shrink the bottom line, employee thefts take an even bigger piece of the profit. Store security cameras should be at loading docks, storerooms, time clocks and storage areas. Stealing from a company involves more than stealing merchandise. Many companies have their employees sign in by computer, or an electronic time clock. Employees simply slide their name badge through the time clock slot. This times them in and they are considered on the clock. Managers get busy and many times do not notice or simply do not care whether someone has shown up for work or not. However, checking the time clock may indicate someone is timed in yet is not on the premises. Cameras that monitor the time clock will save the company money. There have been documented cases where one employee gives their name badge to another to time them in and out. The employee that shows up for work slides their badge, as well as, the badge of the one not showing up. Having video evidence will stop the theft. This is protecting the company’s assets. Loading docks are an ideal place for employees to remove items from the store. The more brazen ones back up to the dock and start loading goods. This does not happen if there are video cameras prominently placed to cover all loading bays, trailer yards and even employee parking areas. Storerooms are an ideal place for employees to gather to grab a meal off the shelf. Cameras should monitor all activity within the storeroom. The cameras are there to protect the company and employees. The cameras will document employee fights, assaults on one another and vandalism. Cameras should be in all cold storage areas, as well. Areas without cameras, is where the activity that employees do not anyone to see, will occur. Many businesses are aware of how people view video surveillance. Some people simply believe surveillance of any kind is intrusive and should not happen. However, a large percentage of the population has come to accept cameras as a part of life and of doing business in today’s world. Notwithstanding their right to have security cameras some businesses try, to incorporate them in such a manner they do not appear intrusive. Box style cameras that are motion activated make it quiet obvious they are following your every move. At times you can even hear them pan and tilt. This may be unsettling to some people. 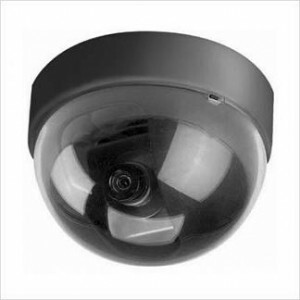 Dome style cameras have a dome cap or lens shield and in most cases, it is tinted dark to obscure the lens. The camera is flush mounted on ceilings and can pan, tilt and zoom. Someone who glances quickly at it does not readily identify it as a camera. You will see these dark globes in many retail stores. 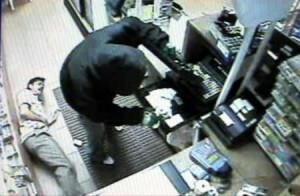 One or more cameras are continually monitoring the cash registers. Cameras are mounted to capture the face of anyone entering or leaving the store. Cameras should also monitor all emergency exits. Security personnel want to know where all employees and customers are at all times. Part of this stems from the number of child abductions that happen in retail stores. Once a parent announces they cannot find their child, the cameras are immediately monitored by security personnel. Exits are of particular importance, and cameras located to screen faces should be of the highest resolution. Most experts will tell you it is extremely difficult for anyone to pick a face out of a crowd based on a photograph. The camera can however. Facial recognition software is being used more often. Scan the picture of an abducted child into the system and the camera can scan crowds and with amazing accuracy pick out that face out of hundreds. This system is expensive and only a small number of non-law enforcement agencies or companies use the technology. As the costs go down and privacy concerns are more fully addressed, private business may begin using the technology more often. Cameras are extra eyes that rarely fail to do the job. They extend resources and eliminate the need for humans to make judgment calls. Human guards cannot be everywhere at once but cameras can be. By using cameras, security personnel can better plan their activities. This is not to say, that cameras will completely do away with the need for human guards. The relationship is always evolving between humans and technology. High quality cameras can be programmed to respond with an alarm when it hears certain noises such as gunshots. Cameras can also be programmed to sound an alarm if it suspects someone is trying to shield or has masked its lens. This alerts security personnel that someone may be attempting something. 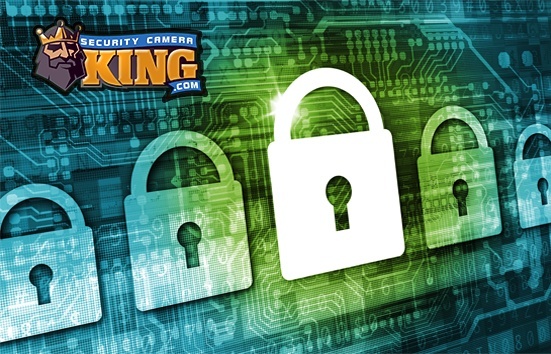 Contact Security Camera King today to find the right surveillance system for your store. A store cam is really good because it never stop recording until you turn it off. The best thing about the store cam is that it records the whole building or where you want the cam to be stored at. Sometime people can’t see everything because there are human. If there is 10 different people in the store there is know way someone can keep there eyes on the whole store and concentrate on whos coming and whos coming out of the store!